When we go through the past and present civilization (I guess its problematic to term it as two different civilizations as there is a continuity in the Tibetan civilization) without prejudice, we can proudly read out that world where we live stand only marvelously through means of unity. So, people from different walks of life will and would voice in unity where we can stand. I would say unity is like a motherboard of a computer where all software and its function encompass together. Without it, it ceases to run its function effectively. In case of the Tibet issue the same action will follow if we fail to stand in unity in the presence of H.H the Dalai Lama. Every nation-states, civilization, culture and multifarious traditions that flourish in different parts of the world has its history. We, Tibetans do also have a long history which we need to cherish a lot in diverse phases of history under distinct supreme leaders. If we fizzle out to diagnose their immeasurable contribution towards the extension of six million Tibetan people then we will submerge into the 1.25 billion plus population of China. And rich Tibetan culture which is an apostle of Tibet will peg out from our hands. China becomes Red (Communist) under the maligned face of Mao Zedong on 1st October1949. She started to expand her sphere of influence in Far East and slowly it plunged on Tibet. Tibet, in the eyes of westerners or who have never been to there considered it as fall of heaven on earth remained constantly in danger of Mao's aggressive policy. In late 1940s, the People's Liberation Army like avatar forcefully annexed Eastern Tibet and Tibet become its prey in many ways like cultural genocide, assimilation and sinicization etc. After signing of 17-points agreement in Beijing on 23rd May, 1951 under gun-point, from that onwards, there is really no peace and tranquility in the minds of Tibetan people. Who made this tear in our prevailing history is because of lack in unity and channel of communication among Tibetan people especially from Ministers in hot-seats of then our administration. The best example, i can offer you is that when Eastern Tibet on the verge of collapse under PLA, even though they got information, some aristocrats ( Kudak) they didn't bother about it. They basked in the sun light and enjoyed the Tibetan barley wine ( Chang) in the summer palace of His Holiness the Dalai Lama. By above cited story, we can say that there was no nationalism as well as unity among Tibetan politicians during that crisis period. His Holiness 14th the Dalai Lama had to struggle hard during perilous period of Tibetan history in -mid 20th century. He had to flee from Tibet and seek asylum in India because situation inside Tibet is so dire that he can't longer stay there to protect his people and state. On 18th April, 1959, His Holiness held a press conference at Tezipur and declared that 17- points' agreement was invalid. From there, he continued to fight Tibetan people's struggle and still it's going on. By the grace of Indian government and tired-less efforts of His Holiness the Dalai Lama, we got chance to establish strong Tibetan community in borrowed land. This administration runs and works for the cause of Tibet as well as its community, which branches in different parts of the world. An exile life hardship is one of the most difficult situations that face today. Yet, by the elegance of His Holiness, we got fortune to enjoy the cool breeze of Democracy which is a fashion icon political doctrine that widely impregnated in this world. He established Central Tibetan Administration in a democratic way where everybody is treated equal before the eyes of law. Not only this but also His Holiness proposed Tibetan people to elect their representatives and it is came into being in 1960s. 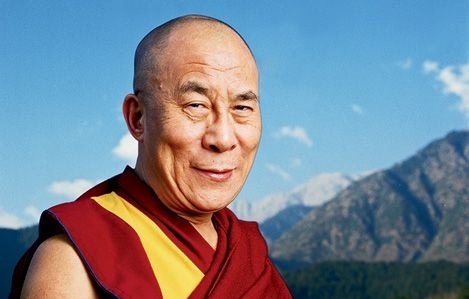 Slowly and gradually according to the wheel of time and changes of International politics, His Holiness decided to devolve his political role completely in 2011. After announcement of his complete retirement from politics, there has cue and cry among Tibetan community in and out Tibet. I would say that it is the most enduring movement in exile history of Tibet where all hopes and responsibilities of six million people depends solely on his shoulder. At that time, the most of Tibetan people shocked and feel sad about his decision to devolve from politics. Yet his visionary thinking walks up the Tibetan community and they started to elect their political leader who can uplift Tibetan issue in International stage where the most of nation plays zero-sum game. In 2010-11, there was fast and furious race for the post of political leader ( Kalon Tripa) in exile community among three emerging hopes for Tibetan struggle. The Tibetan exile community effectively has participated this history changing movement of Tibet. They held many debates among three candidates in different parts of world where Tibetan Diasporas were scattered. I do feel that for Kalon Tripa's election they did like the most developed nation: U.S.A's election for the post of president. I mean to say that all walks of life, they have effectively participated to cast their vote for the post of Kalon Tripa. Finally, first among equal, the Harvard graduate, Dr. Lobsang Sangay won the election and become the first political leader of Tibet in exile. Such fully-grown up democratic political system in exile community is because of His Holiness leap forward vision that hopes in future good of Tibetan community. It is because of His Holiness's six decade efforts for our struggle made Tibetan issue alive in this 'mein and thein' society of 21st century. Without his tired-less work for Tibet, Tibet issue would not become like this miniscule in population and size, strategically vital as 'the roof of the world', politically restive, emotionally hurt for almost six decades, Tibet is today, once again, the 'eye' of global political storm. Tibet is the epicenter of the political, diplomatic, psychological 'quake' which has been convulsing China today. His charismas and political skill that draw the attention of world as well as hidden Dragon who is crouching yak in Tibet. He is the powerhouse of Tibet who can shake the world and surprise the China. He is like a key to resolve Tibet issue. Without his ray in Tibetan struggle, we have no hope to rise against the mighty China in International stage in which she plays important role in politics as well as economy. So, I think it is right time for us to stand in unity for the cause of Tibet. If we fail to stand in unity under the guidance of His Holiness and CTA, then there is no hope for us to stand up from China. The Tibetan struggle is not struggle between Middle Way Approach and complete independence approach. And it is not about utility of 'government' terminology in the official document or not. It is fight between Tibet and China. If we focus on fighting these two issues among Tibetan people then we will not obtain concrete result for the brawl of Tibet which is in danger.